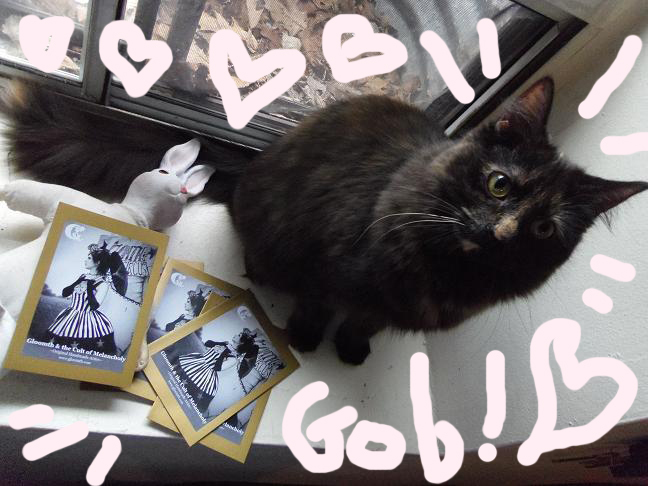 My kitty Gob (Goblin) models our new notecards! So here’s my new goal! Every Friday I’m going to try to post highlights from my week. Behind the scenes Gloomth-things, outfit things, crafty things, ranty things, just anything more personal than business related. 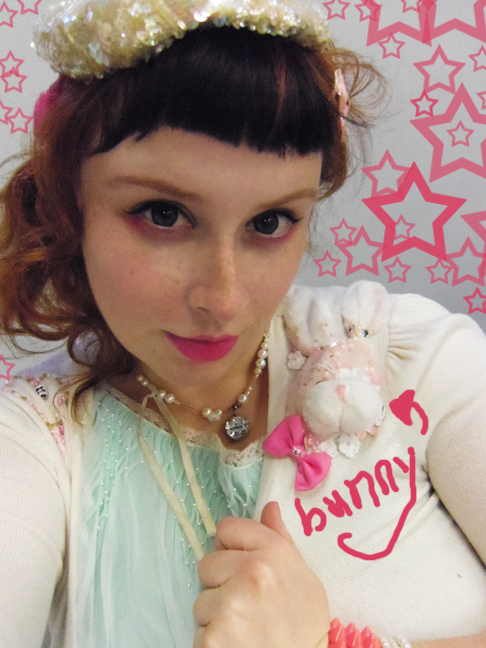 I recently got a new and adorable little pocket camera so I’ll share lots of blurry poor quality photos of my head/clothes/things and likely some artwork here and there also! 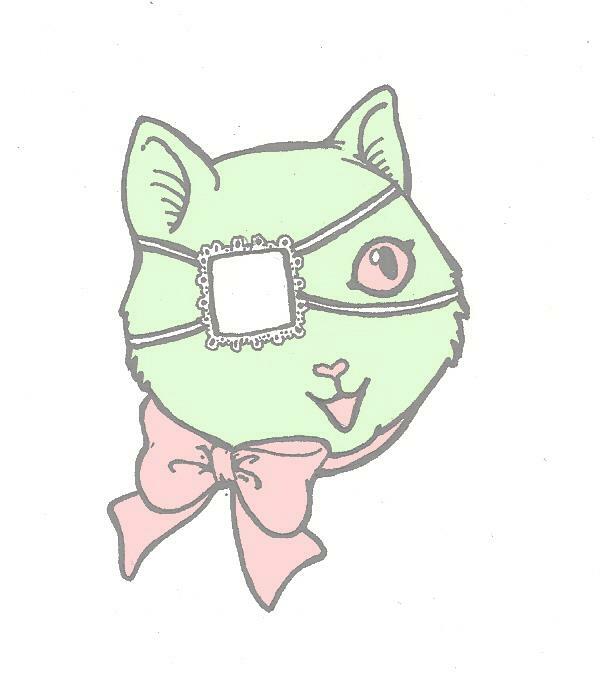 I drew this minty green eyepatch-kitty as a sort of pseudo logo for myself, heh. He now adorns a rather tacky red gingham loli dress of mine (and soon other things)! 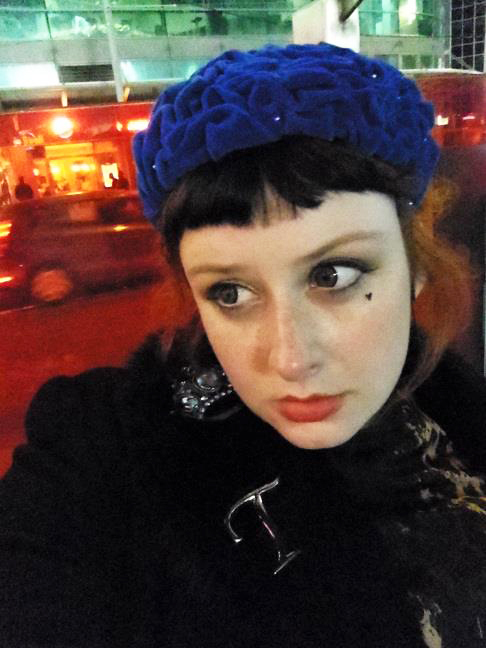 Waiting for Mistress McCutchan at Dundas Square in Toronto. 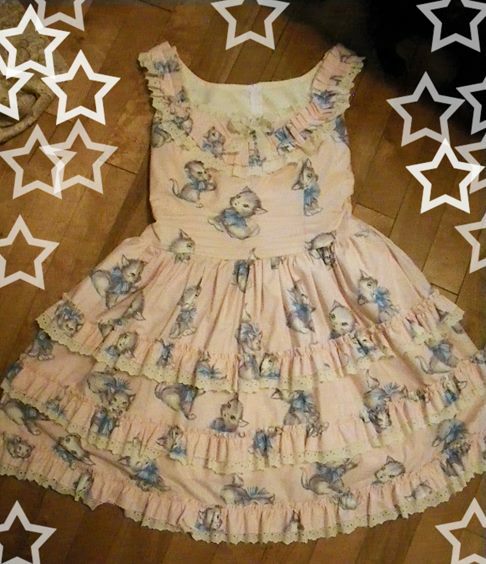 My incredible cat dress. Based loosely on our “Chrysanthemum” pattern but with 100% more KITTIES! 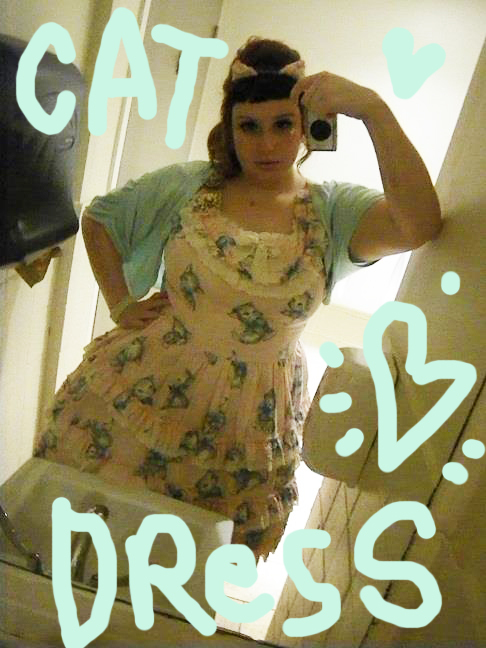 Sorry for the wretched restaurant bathroom photo. 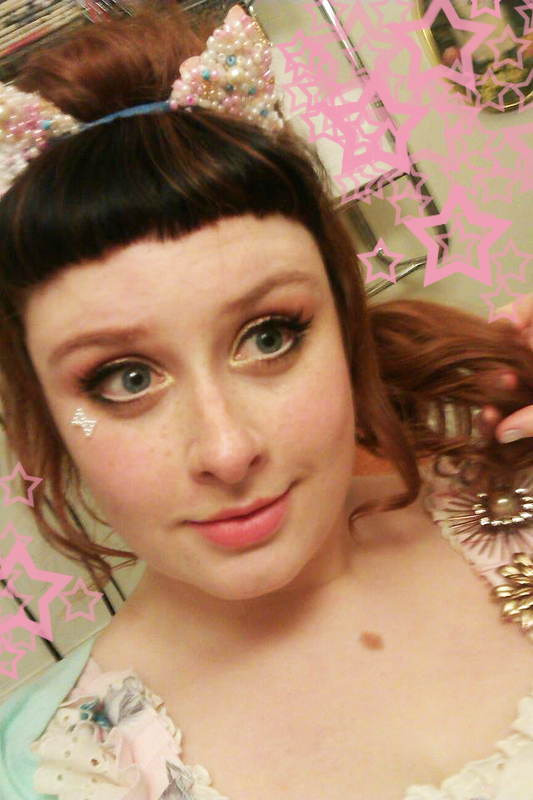 This is my Amazing Pink Cat Dress. Made out of this awesome 1950s reproduction fabric I found. Meow! And I really love this post. 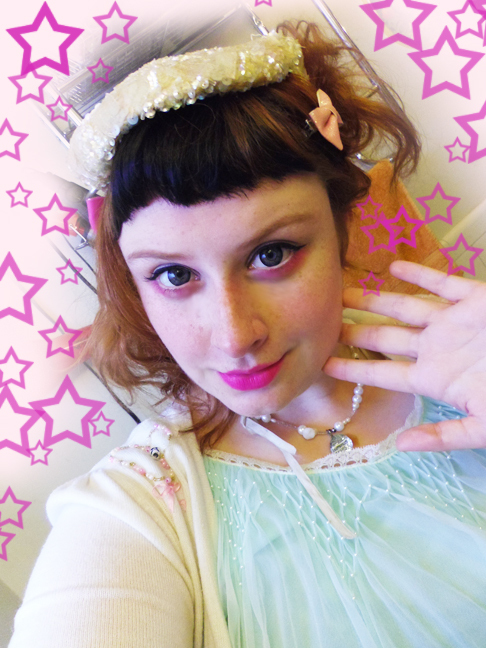 I look forward to all of your zine updates, but Fridays will be especially interesting now!